Mountain runner and ski mountaineering athlete for over 20 years, now Miguel Caballero Ortega is a proud coach and caring father. Considering this neither a step ahead or a step back in his career, the evolution of the Spanish champion is just the natural progression of the story of someone who no matter "if stronger, faster, slower", will keep on running. For a lifetime. The Strange Heroes Series changes its background, and from vertical walls bring us outdoors in the mountains, fields and street of Boulder, Colorado, to find out how the ultrarunning icon Anton Krupicka faced the important injury that stopped him from racing. Last spring we went in Colorado catching up with Anton Krupicka. 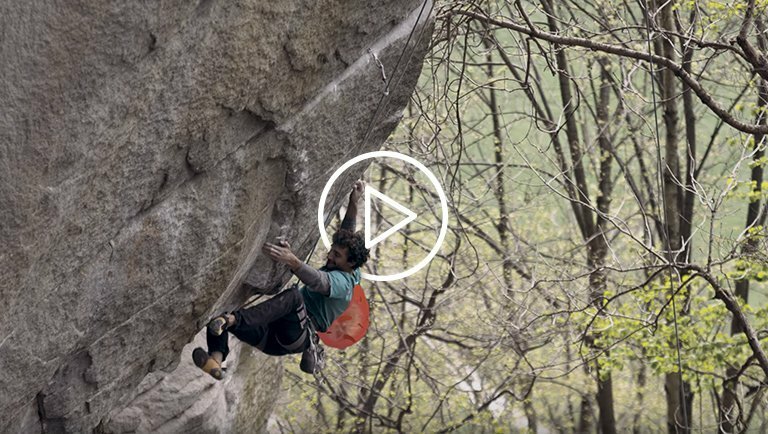 The Boulder-based La Sportiva ambassador showed us that his life is not only about running, bringing us to a 360° full-training. Literally. From running to scrambling, from cycling and skiing, live it with us in this unique Virtual Reality video! We strongly believe in young athletes, because we strongly believe in the future of mountain running. Discover what drives the guys from La Sportiva Junior Team to always make their best dividing their efforts between school and sport, and what happened when they joined our R&D team in Val di Fiemme for taking part in the Stava Mountain Race. Finally in stock, Unika is the new La Sportiva trail running shoe developed using Infinitoo™ technology with high energy return. Perfect to be used on middle to long distances over any type of terrain, Unika represents for La Sportiva the first Mountain Running® shoe Made in Europe. 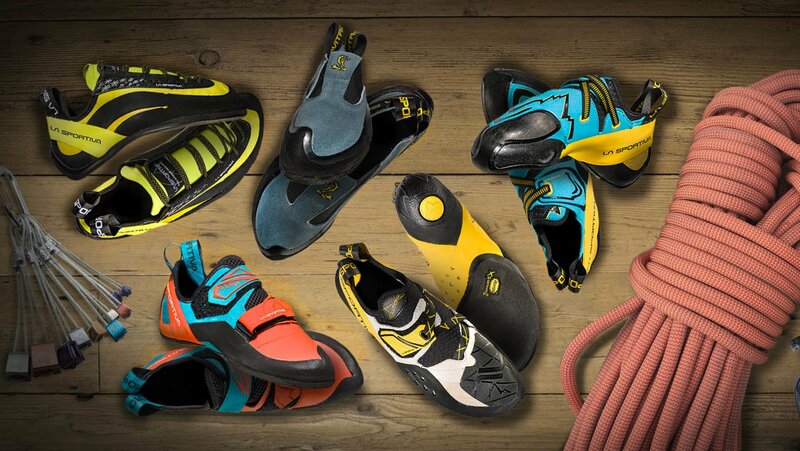 La Sportiva & Sky Icarus: Run-in-Shop Tour 2018! 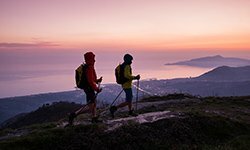 This spring La Sportiva has promoted a special European test & feel tour dedicated to discovering all the SS18 new products landed in mountain running collection. Together with La Sportiva ambassador and footwear developer Jonathan Wyatt, Sky Icarus captured what happens behind the scene of one of the 23 stages of its Run-in-Shop tour. Last november, the La Sportiva ambassador went to the Lake District, taking part to the Kendall Film Festival and meeting with the Laspo British crew. "After all, mountain running is the same as dancing. Only with different shoes." La Sportiva Storyteller project goes on with "Mountain Dancing", the interesting story of Pere Rullan, flamenco dancer in his youth and now Spanish mountain running champion. 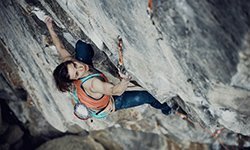 Nella gara organizzata dall’Unione Sportiva Cornacci, seconda tappa del Trentino Vertical Circuit, a vincere sono Hannes Perkmann e Francesca Rossi. Gran successo per la dodicesima edizione della Stava Skyrace, terza prova del circuito La Sportiva Mountain Running Cup (http://mountainrunningcup.com/index.p...). Al maschile la gara è stata vinta dal piemontese Francesco Puppi, tra le donne ha primeggiato Stephanie Jimenez. Jonathan Wyatt ha filmato i tratti più importanti del nuovo percorso della Stava Mountain Race. 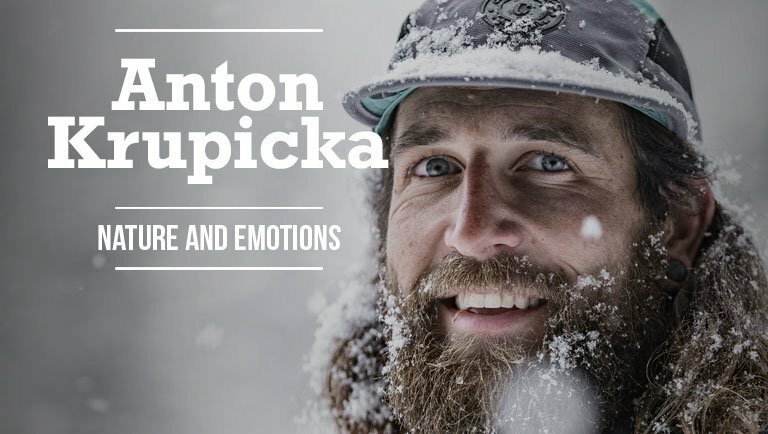 La Sportiva presents "Purpose" a short movie dedicated to the Ultra-Runner and adventurer Anton Krupicka. 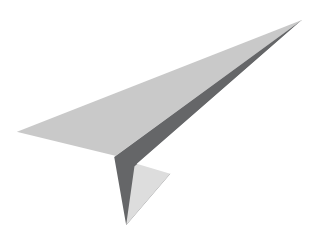 Purpose: /ˈpɜː.pəs/ "Why you do something or why something exists" "Purpose" is the short movie dedicated to the Ultra-Runner and adventurer Anton Krupicka. RUN /rʌn/ "to move along, faster than walking, by taking quick steps in which each foot is lifted before the next foot touches the ground". Scramble /ˈskræmbəl/ "To move or climb quickly, often using your hands to help you"
A voyage to the discovery of the mountain running products "designed and developed" in Val di Fiemme, La sportiva Mountain Running Web series comes to an end. For this final chapter, the focus is put on all those expectations and emotions that only who runs the Dolomites Skyrace can feel before, during and after the race. La Sportiva Mountain Running Web Serie goes ahead in a new and exciting second episode, just before the 19th edition of the Dolomites Skyrace. Athletes and product developers tell us what it means to run the "Queen" of the alpine skyraraces. 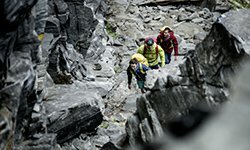 In a 3 episode web-series, La Sportiva tells the story of its Mountain Running line, born designed and developed in the Dolomites. In this first episode , Lorenzo Delladio, CEO of La Sportiva, and Giulia Delladio, a member of the fourth generation, open the doors of the factory in Ziano di Fiemme to explain how the R&D lab and the athletes work together in close contact with the surrounding territory, which provides a perfect test-field prior to the market launch. If you are searching for something more then running, all you have to do is to try the trail running and just discover how cool is finding your way on off-road tracks.